Christopher L. Chin concentrates his practice in the areas of corporate finance, mergers and acquisitions, venture capital, hedge funds, technology commercialization, and e-commerce. Mr. Chin also represents and advises investment advisors, and commodities and futures traders and advisors. In the area of real estate tax certiorari, Mr. Chin counsels clients on reducing real estate taxes on commercial properties, including hotels, commercial buildings, condominiums, cooperatives, and other properties and on the availability of various tax exemption programs offered by the City of New York, including ICIP and 421-a benefits. 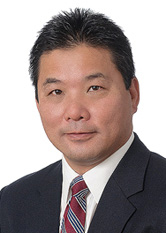 Mr. Chin is a member of the New York State Bar Association, and serves on the Board of Directors and the Executive Committee of the United Way of Rockland County.